This Monday, June 1, 2015, the Supreme Court handed down its long-awaited decision in Elonis v. United States. In a 7-2 ruling by Chief Justice John G. Roberts, Jr., the Court narrowed the circumstances under which individuals can be convicted of making criminal threats under federal law when they post statements on social media like Facebook. At the same time, the Court showed a prudent inclination to tread cautiously in a difficult area. After Anthony Elonis’s wife left him, he began to write graphically violent rap lyrics and post them to his Facebook account. In several posts, he fantasized about murdering his estranged wife. Others contained violent thoughts about the workplace from which he had been fired, his former co-workers, and an FBI agent who had investigated the matter. In one post, he even talked about massacring a local kindergarten class. Why is the United States bringing these charges? Perhaps a secret competition was held amongst international prosecutors, and we won the bidding over Qatar and Russia? No, that would never happen. Countries like the United Kingdom, Germany, and Spain might be far more likely candidates to police corruption in the game they love so much. But if they struck at King Blatter and missed, they could suffer serious reprisals from an organization that has amply proved its unprincipled style of governance. The United States may be the only country in the world both powerful enough and indifferent to soccer enough to hunt down FIFA. The New York Times reported Monday that a $10 million bribe for the South African World Cup had been authorized by Jérôme Valcke, Sepp’s bro-hugging number two at FIFA. FIFA, in true gangland style, immediately identified a dead person as the true perp, but documents published Tuesday showed Valcke’s name on key correspondence. What exactly was Valcke’s authority? FIFA said that Valcke, as secretary general, “has authority to make transactions.” But organizational by-laws, even of nonprofits, don’t typically authorize officers simply “to make transactions” — such unlimited authority would invite embezzling officers to fire off billions to a Cayman account and then disappear. Surely that couldn’t happen at FIFA, could it? Credible organizations often either specify a dollar amount up to which the person has spending authority or require a board resolution authorizing the officer to make specific payments. So perhaps Valcke made the payments without authorization or made them with Blatter’s full knowledge. 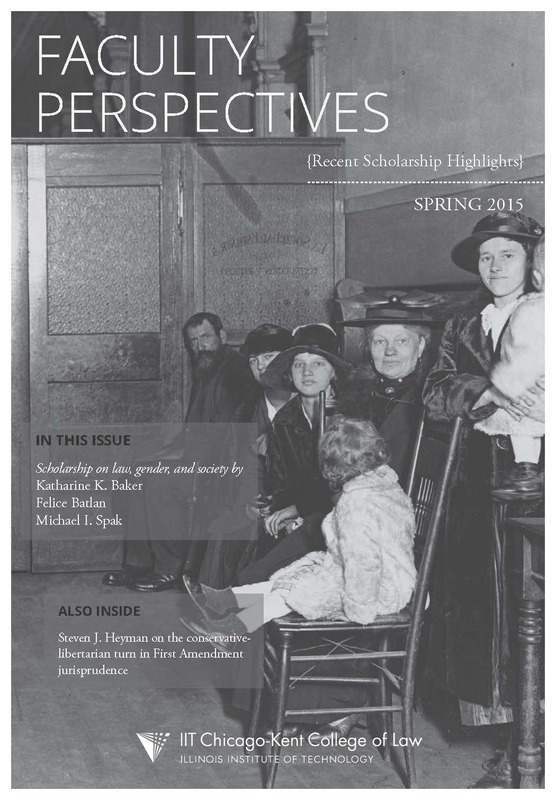 Click to read the Spring 2015 issue of Faculty Perspectives, highlighting scholarship by our faculty in the area of law, gender, and society. © 2019 Chicago-Kent Faculty Blog. All Rights Reserved. Created using PressWork.